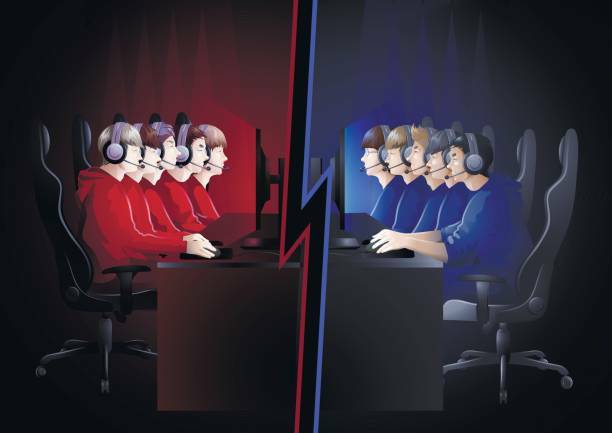 Griffiths et al’s research paper, “Competitive Video Game Play: An Investigation of Identification and Competition” studied the effects of students competing with one another in video games and found that winning the game increased enjoyment, while losing increased state hostility. What I found most interesting about this paper was the effects of identification on competition outcomes. When playing as an identified character (emotionally-relevant team/avatar), enjoyment or hostility based on the win or loss was increased. In other words, playing as your favourite football team or avatar increased the emotional investment in video games. @crunn 52 compared this identification to the American democratic system. Most Americans either strongly identify as a Republican or Democrat, which has turned the electoral system into less of an election and more of a competition of citizens. Carlin & Love found in their paper that this identification with a party causes partisan trust discrimination, meaning co-partisans trust each other more than they trust rival partisans. This is likely why competition is increased when playing as an emotionally-relevant team in a video game. Griffiths et al give a concrete definition for competition that applies directly to video games. It is defined as the inverse relationship of goal attainment between two entities. This is similar to how Garcia et al. defined competition, who describes it as a zero sum game, in which one party must lose in order for the other party to gain. This is the purest form of competition, where entities battle over a scarce resource (in this case, winning the game). This form of competition is starting to be used to incorporate game-based styles of learning in education systems over the world. The research gained from this experiment can be utilized in the future for work in game-based education systems. In countries like South Korea and China with “hyper competitive” education systems, using a game-based system could be a useful motivator for student learning, especially when taking advantage of the effects of identification.